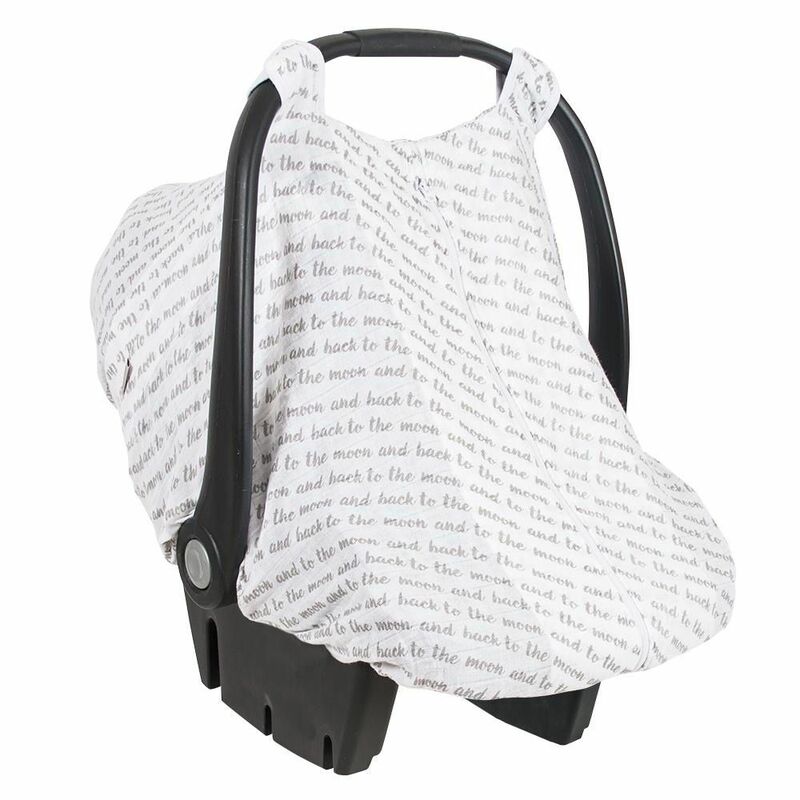 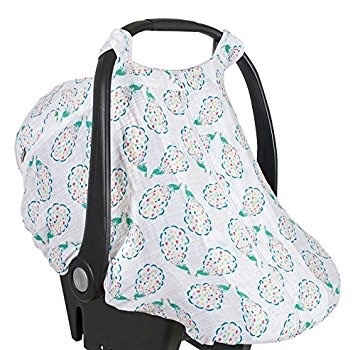 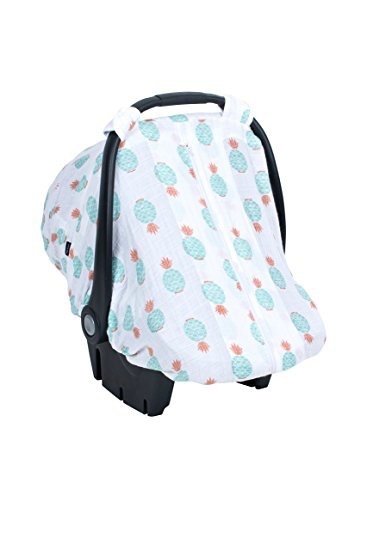 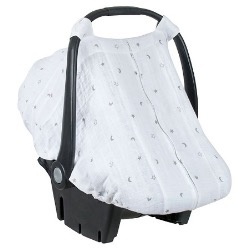 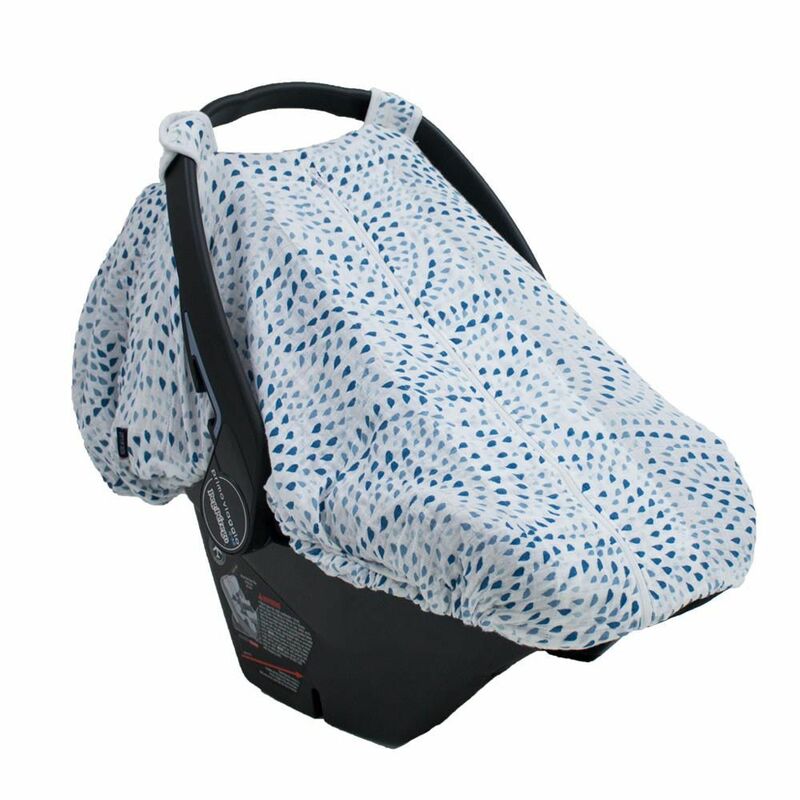 Keep your baby cool and covered with Bébé au Lait's Muslin Car Seat Cover. 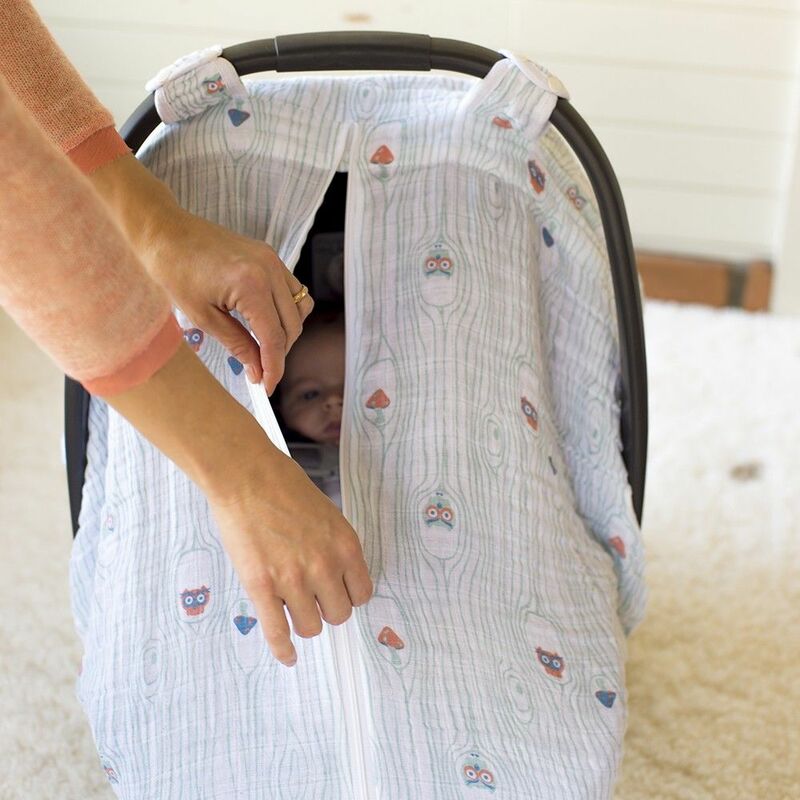 The breathable, open-weave cotton is designed to create a light and airy layer between baby and the outside world. 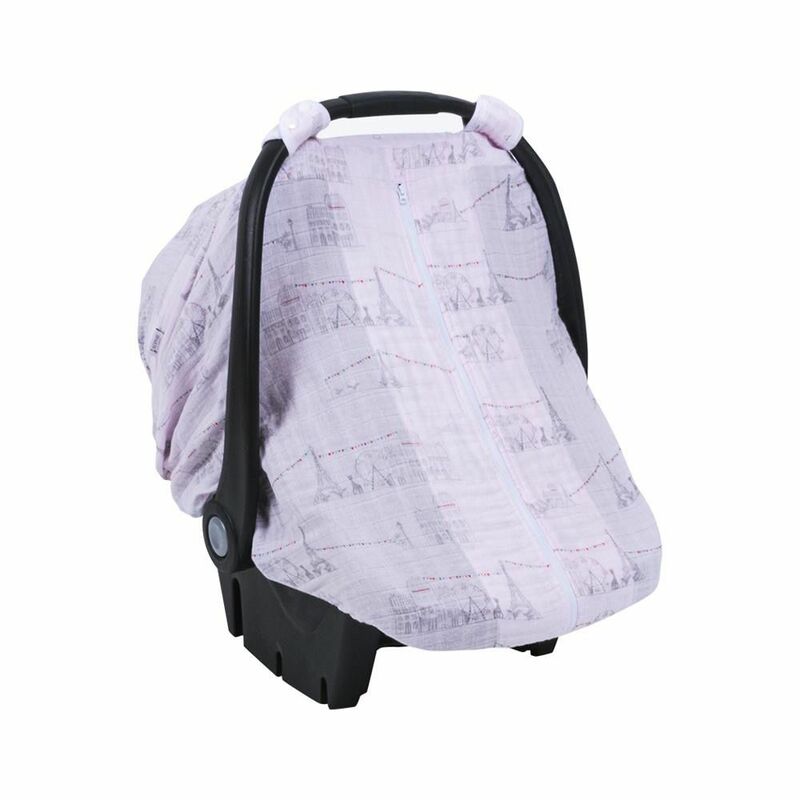 The zippered opening lets little ones peek out when awake or stay covered when asleep: a must-have product for parents on-the-go. 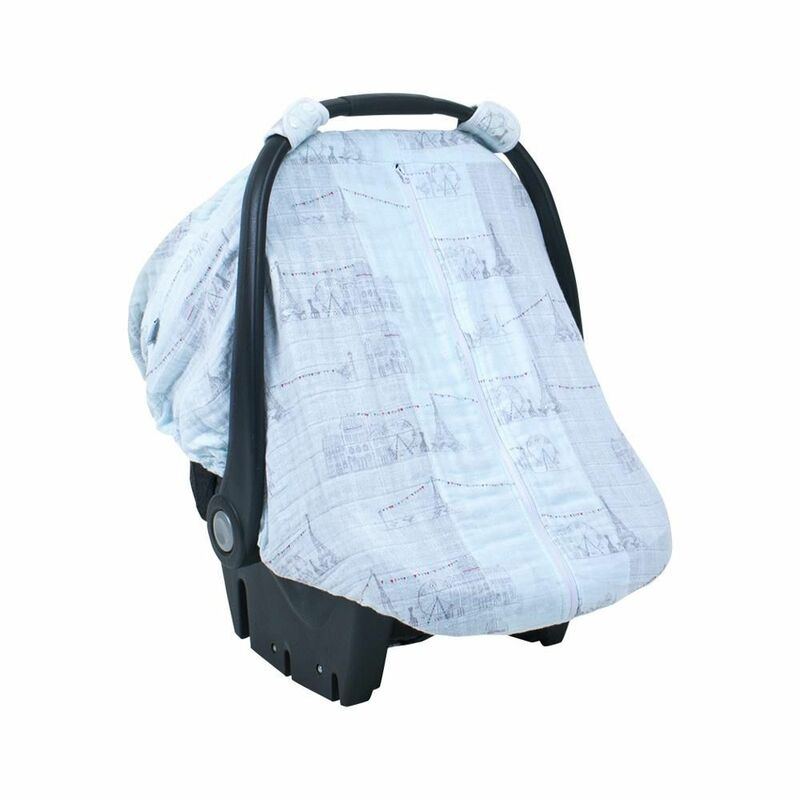 Simple to install with easy-snap straps and an elasticized bottom, it will fit most car seats and is machine washable. 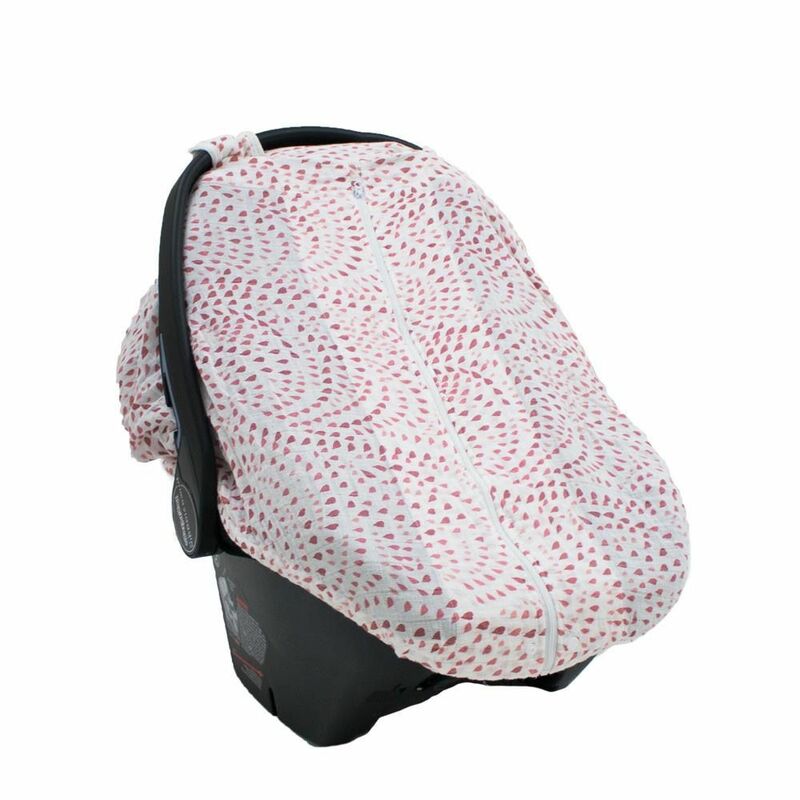 The Car Seat Cover matches our Snuggle Blankets, Bedtime Sleepers, and Bandana Bibs in this pattern, making a perfect travel set!